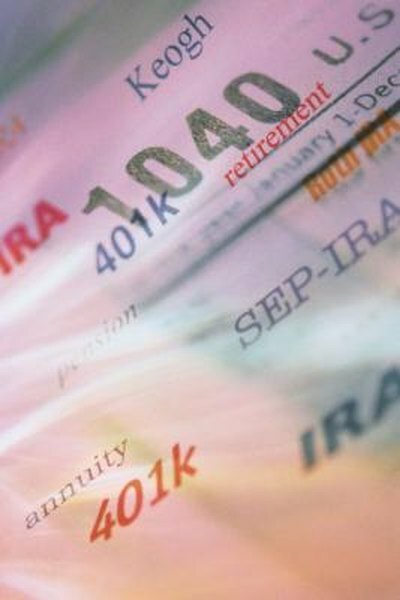 How Much Are the Taxes on a 401(k) Withdrawal? If you take money out of your 401(k) before you turn 59 1/2, you likely will get hit with an extra tax penalty. 1. When Can You Withdraw Money From a Thrift Savings Plan (TSP) With No Penalty? 2. Can You Borrow From Your Retirement Account to Pay for College? 3. Do I Have to Pay a Penalty on My 401(k) for Hardship Withdrawal? The 401(k) is a valuable retirement tool because it delays taxes on your contributions and your investment earnings. However, the 401(k) only defers taxes. It doesn't get rid of them. When you take money out of your account, you will owe the IRS. The amount you owe depends on your taxable income situation when you make the withdrawal. When you invest money in your 401(k), the idea is to leave it there until you retire. The IRS lets you start making retirement withdrawals from your account when you turn 59 1/2. However, if you are 55 or older and you quit your job, you can also make retirement withdrawals without incurring an early withdrawal penalty. When you take money out of your 401(k) for retirement, you owe income tax on the money at your regular rate. If you need to take out money before you reach the official retirement age, it gets more expensive. You will owe income tax on the entire withdrawal plus an extra 10 percent penalty. You also get frozen out of your 401(k) for the next six months so you won't be able to add money back or receive matching contributions from your employer. There are a few instances when you can take money out of your 401(k) early and avoid the 10 percent penalty. The IRS waives the penalty if you become permanently disabled and can no longer work. You can also take your money out penalty-free to pay medical bills that exceed 7.5 percent of your annual income. Lastly, you can use your 401(k) funds to settle a court-ordered divorce order. You'll still owe income tax on these withdrawals, but at least you avoid the penalty. You can also take money out of your 401(k) through a policy loan. The IRS doesn't charge income tax or a penalty on 401(k) loans because you are expected to pay the money back. You can borrow up to $50,000 from your plan and have up to five years to pay all the money back. If you don't pay the loan back on time, it will count as a withdrawal. You'll owe income tax plus the 10 percent penalty on whatever you didn't pay back. Can Funds Be Taken out of an IRA? Can Frozen Pension Plans Offer Lump-Sum Payments? Are Retirement Distributions Exempt From IRS Penalties?